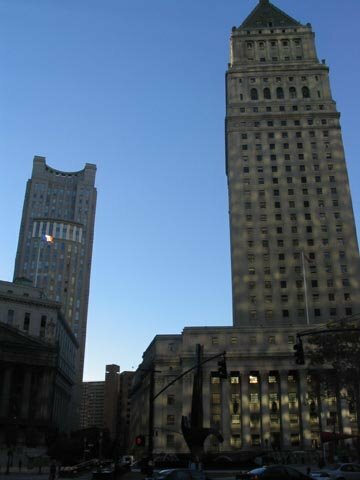 This racial harassment case against a steel plant near Buffalo provides insight into how the Court of Appeals views damages awards in these cases. The jury awarded the black plaintiff $1.32 million in compensatory damages and $24 million in punitives. That's right, $24 million in punitives. The Court sustains the compensatories but finds the punitives excessive. The case is Turley v. ISG Lackawanna, Inc., decided on December 17. This is the second racial discrimination case in a year that the Second Circuit has to use the N word and other vulgarities in summarizing the case. The first case was Matusick v. Erie County Water Authority. Both cases are written by Judge Sack, who once again apologizes to the reader about having to use this language in the decision. In this case, plaintiff worked in a "living hell" characterized by every sort of racial harassment you can imagine. Just use your imagination on this one. Management did not properly investigate his complaints about the harassment, and some supervisors had even engaged in the abuse. The question on appeal is not whether the jury properly found liability under the civil rights laws, but whether (1) the judge properly charged the jury; (2) the parent company was properly held responsible and (3) the damages were too high. I'll write up four blog posts on this case, starting with parent-subsidiary liability. ʺUnder this test, ʹa parent and subsidiary cannot be found to represent a single, integrated enterprise in the absence of evidence of (1) interrelation of operations, (2) centralized control of labor relations, (3) common management, and (4) common ownership or financial control.ʹʺ Although no one factor controls the analysis, the second, ʺcentralized control of labor relations,ʺ is the most significant. A 2007 harassment training seminar explained that all complaints must be reported to the corporate human resources department, and that any settlement that changes anyoneʹs terms of employment must be approved by the corporate office. Employees were directed to report harassment to the ʺAlertline,ʺ a nationwide ʺhotline.ʺ Plant managers repeatedly stated that they were required to check with the corporate legal department in Chicago before providing information to assist police investigations concerning threats against Turley. And Turleyʹs employment ended when the parent company shut down the Lackawanna plant and sold its assets. I don't see significant overlap among corporate entities over plaintiff's case, but it is enough to sustain the jury's finding that the parent company is partly liable for the harassment as part of a "single employer."